The Friendship disc represents the joy of friendship. 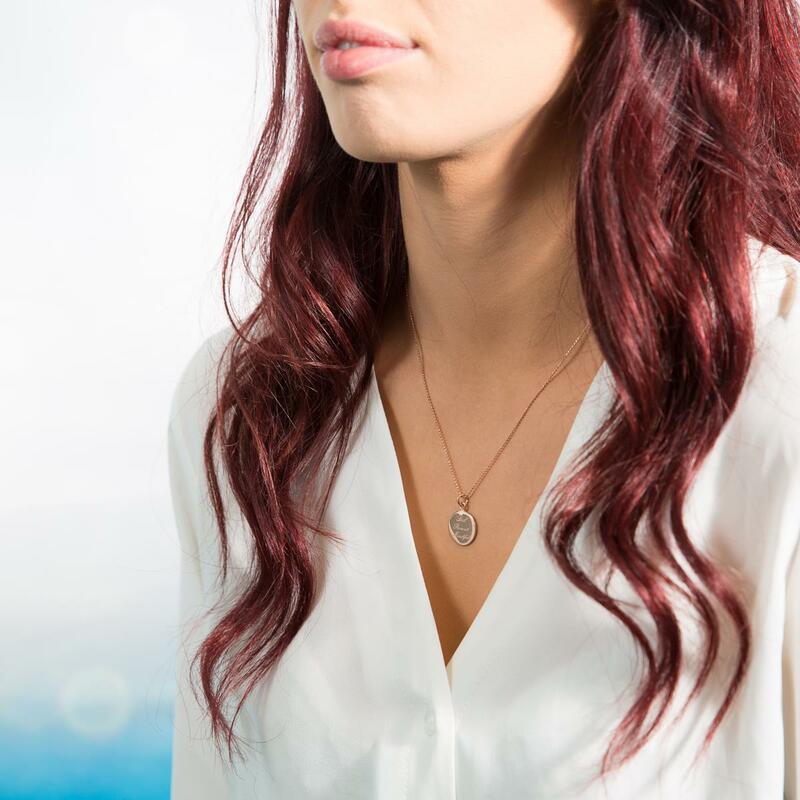 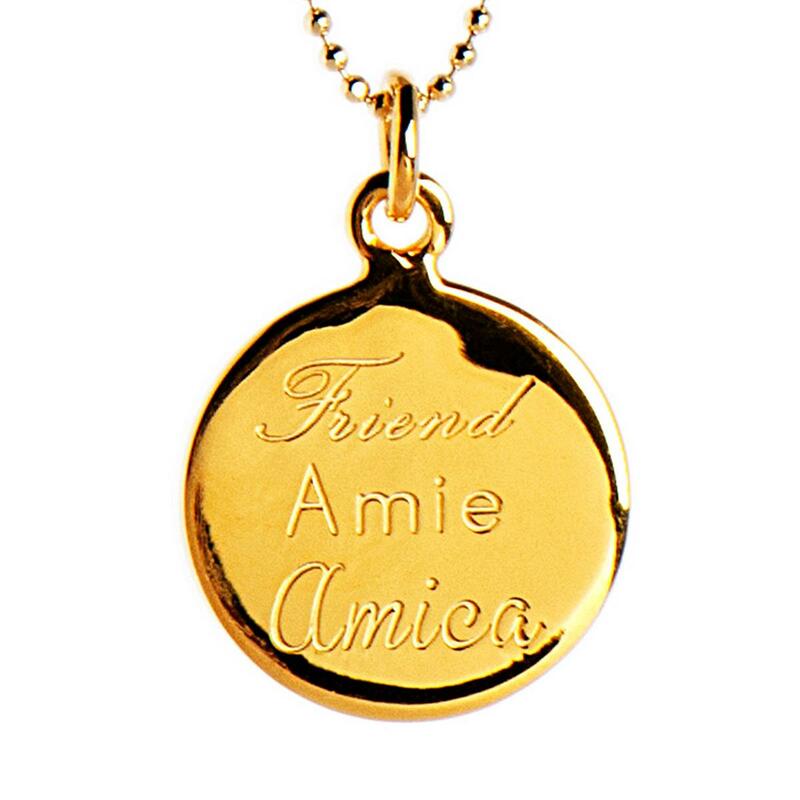 This necklace makes the perfect gift to your best friend as a reminder that regardless of where you are in the world, your friendship bond is unbreakable. 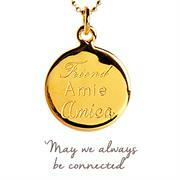 Perfect gift for birthday | friendship | long distance friends | starting university or moving. 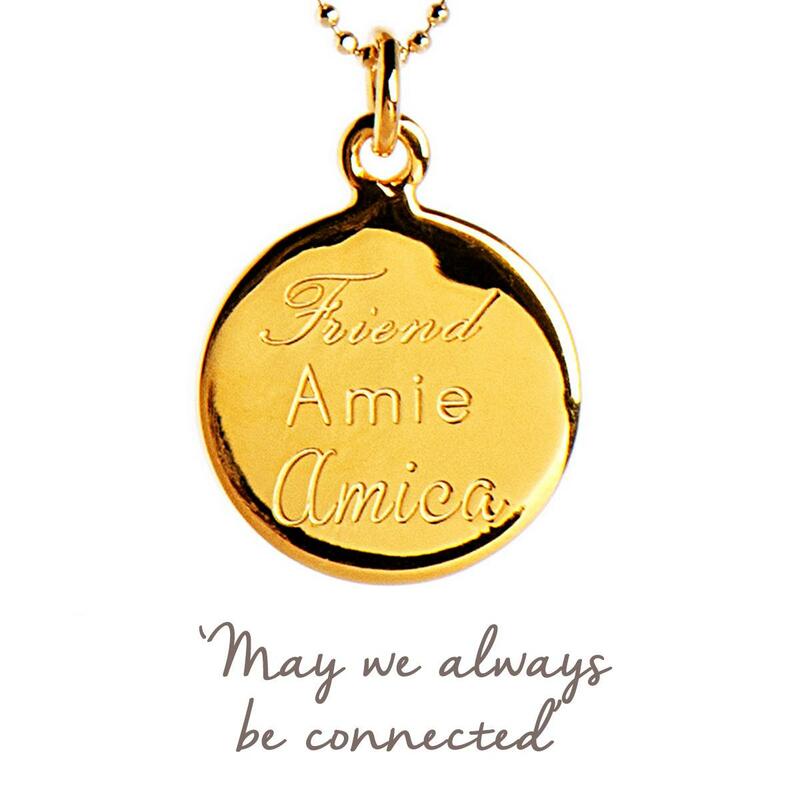 Presented on a beautiful card to keep, with an inspiring image on the front - with 'Friend' engraved in 3 languages - English, French (Amie) and Italian (Amica), and space on the back for your personal message. 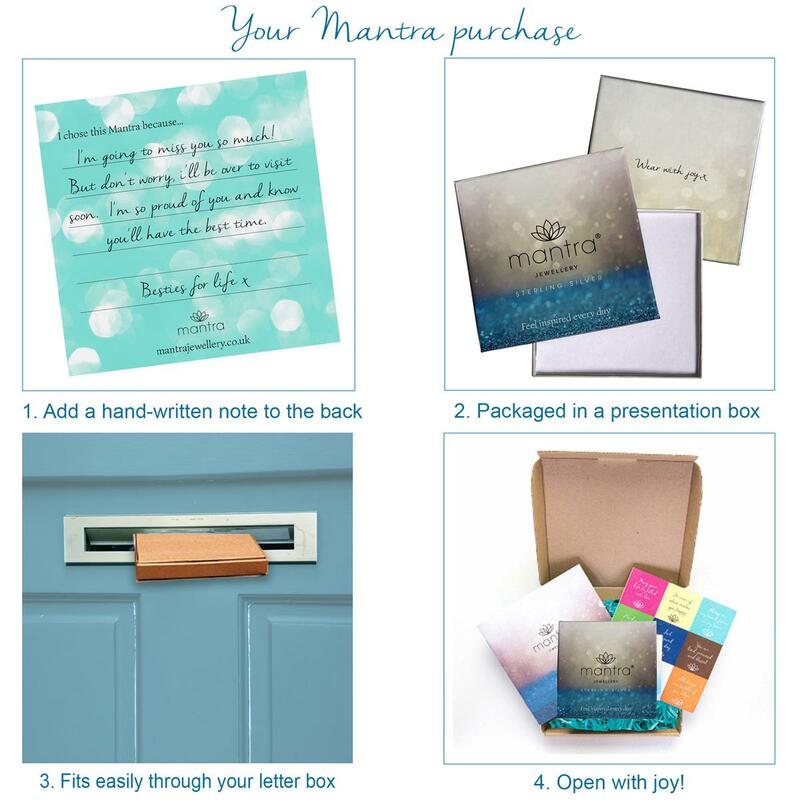 The perfect friendship gift or Birthday treat, or a great way to be comforted and reassured by your friendship.